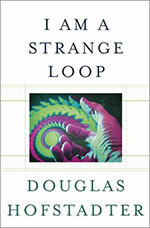 Douglas Hofstadter’s newest book, I am a Strange Loop, is a satisfying reading experience with one of the world’s foremost philosophers and researchers on human consciousness. Readers of his 1979 Pulitzer Prize-winning Gödel, Escher, Bach will find a familiar friend back to explore the deepest problems of the philosophy of mind and shed new light on the inner workings of human cognition. While most authors in this arena cast their kites into the sky and get pulled up into the clouds of philosophical semantics, Hofstadter keeps both feet firmly on the ground, repeatedly tying down ideas with very real, personal experiences that are familiar reminders of why many of us are driven to ponder these ideas to begin with.